Why is it so important to forgive ourselves? Why is it so important to forgive others as soon as we can? Forgiving ourselves and others is an act of letting go, it is also an act of selfishness because when we let go, we let go of the emotions that are poisoning our day. Who needs these emotions? Shouldn’t we use our limited time and energy for more exciting activities? 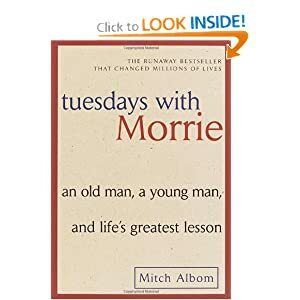 Morrie said “Forgive yourself and others before you die”. But since we don’t know when we are going to die, why not forgive NOW? If we know that we will eventually forgive, why wait?